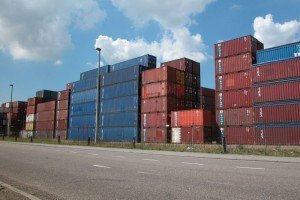 Now that the labor dispute on the West Coast has been resolved, how will import and export shipments be handled moving forward? Now that the labor dispute on the West Coast has been resolved, how will import and export shipments be handled moving forward? Is your company one that is considering making changes? It appears that many are weighing their options in hopes of preventing the same scenario happening in the future. Importers who were considering other options before, now have a good reason to act. Exporters watched helplessly as their products spoiled. Delivery delays while the backlog clears may result in lost business or higher costs. If your company is thinking of making lane changes and renegotiating your rates, or requesting rates to be added or reconsidered in tariffs, make sure you have a back-up already in place to ensure your freight is being paid properly in advance. It is wise to have a third party review your payments with an objective eye. Changes in shipping patterns means changes in rates and charges. AMTR can ensure you are being charged correctly for your new lanes.